Things are happening fast in Cheyenne. Working with Representative Bo Biteman, we’ve introduced HB137 to repeal Wyoming’s deadly “Gun Free Zones” policy in all government buildings! Has your representative co-sponsored this legislation? We need them to stand with us and the other pro-gun legislators in support of this bill. It’s pretty simple, if you’re legally allowed to carry a firearm, you’re legally allowed to carry your firearm onto public property. We’re not talking about areas that are otherwise prohibited by federal law or private property owners who decide that carrying is forbidden on their property. We’re simply asking that the right to keep and bear arms not be stripped from law-abiding citizens while they’re in public places. After all, these are buildings that you and I pay for and maintain! Why shouldn’t you and I be able to defend our loved ones in public? I don’t know about you, but I couldn’t disagree more! You and I both know that “Gun Free Zones” do nothing to protect victims, but only stop them from protecting themselves and their love ones. There is no amount of bureaucracy that will keep criminals from breaking the law. Is it any surprise that criminals target locations where they know that their victims will be disarmed and defenseless? Pulse Night Club in Orlando — where 102 people were shot in a “Gun Free Zone” — 48 of them were fatally wounded. Florida State University — where the violent criminal terrorized students, shooting 3 before being stopped by armed police. I don’t want to read about a tragedy like this playing out here in Wyoming — and that’s why we need to see this legislation become law in 2017. Call them directly, or by using the Legislative Hotline which is (866)996-8683 and they’ll connect you or physically bring your legislator a note on your behalf. Email them, click here to find their email address. Send them a message on Facebook. Almost all of them are on Facebook, and that’s a great way to reach them! Once you’re done, please forward this alert on to anyone else who cherishes their Second Amendment rights — and encourage them to contact their legislator as well! And I can’t stress enough that, if you haven’t yet, please consider renewing your membership to Wyoming Gun Owners. Your support is the grease that make the gears turn. So please renew your support for 2017 now! Without it, I’m afraid Wyoming gun owners may be ignored for the sixth year in a row. 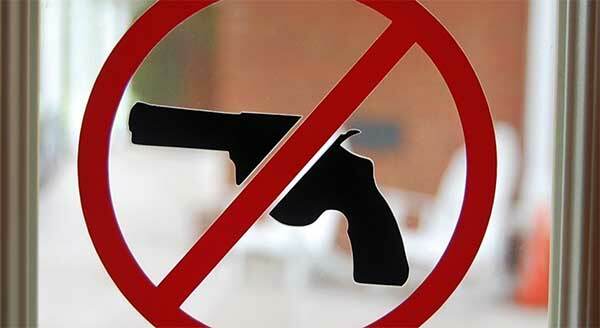 And with the recent killings in all of these so-called “Gun Free Zones,” we cannot afford to be ignored any longer. If we can get enough co-sponsors in the beginning, we have a real shot at making this happen. Thank you so much for helping us defend the Second Amendment. P.S. The Wyoming legislature is back in session and Representative Bo Biteman has sponsored HB 137 to repeal dangerous “Gun Free Zones” on public property! We need help encouraging your representative to co-sponsor this vital piece of legislation! Then if you haven’t done so already, please consider renewing your membership to Wyoming Gun Owners so that we can mobilize more folks to the fight.